Potholes are a teeth-rattling annoyance to cars and trucks, which may see their alignment knocked out of whack, but potholes can kill bikers. We are especially susceptible to them this time of year, as we are learning where they are after a hard winter of snow plows and salt. An off-duty Indiana sheriff’s deputy was killed April 20 when his bike hit a pothole. He lost control of the bike and it landed on top him, police said. Eric Stofer, a deputy for 11 years, was 35. The deputy’s death is a tragic reminder: Don’t assume that because your favorite ride was pothole-free last fall that it still is. 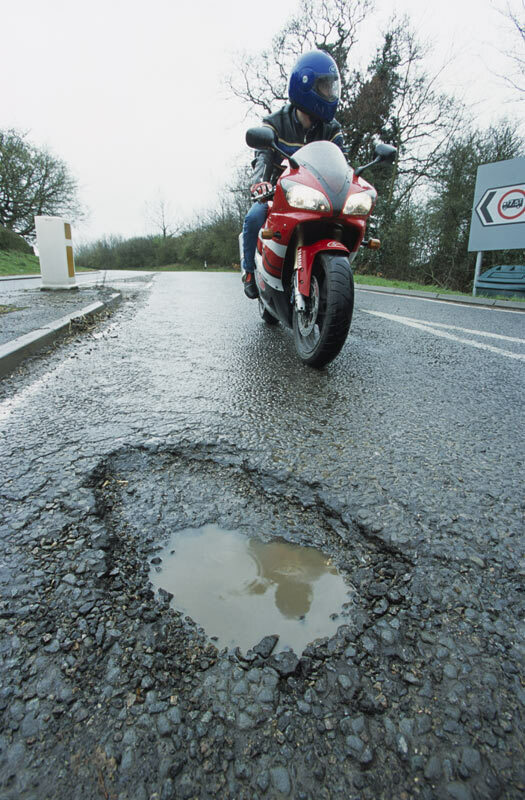 Be cautious when riding a route for the first time this year – the last thing you want to do is encounter a crater of a pothole mid-turn while cornering aggressively. You will have very little ability to avoid it. If you notice potholes, call 1-800-pothole – New York State’s pothole tipline. It’s not just for state roads – they will send notification to the county or town that maintains it if it’s not a state road. 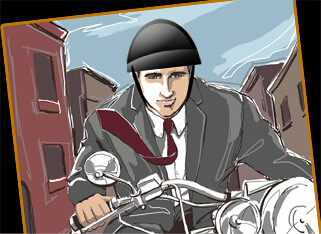 In Pennsylvania, call 800-349-7623 about potholes. But locally, the safest bet is to send a letter complaining of the worst potholes to your municipality or county. That will be sure to move that pothole to the top of their list of ones to be fixed. This entry was posted in Motorcycle Accidents, Motorcycle crashes, Motorcycle Injury Cases, Motorcycle Laws, Motorcycle Safety, New motorcyclists, Uncategorized and tagged accident attorney, accident lawyer, Adam Gee, Adam M. Gee, American Motorcyclist Association, Elmira New York, Harley-Davidson, injury, Motorcycle, motorcycle accident, motorcycle safety, New York, new york motorcycle, New York motorcycle attorney, new york motorcycle attorney adam gee, New York State, NY accident attorney, NY and PA motorcycle lawyer, PA Injury, PA motorcycle accident lawyer, PA motorcycle lawyer, Pennsylvania, Pennsylvania motorcycle accident attorney, Pothole, Twin Tiers, wysox township motorcycle accident. Bookmark the permalink.